This abandoned beauty sits off U.S 70 east of Little Rock in the row crop land of the Arkansas Delta. 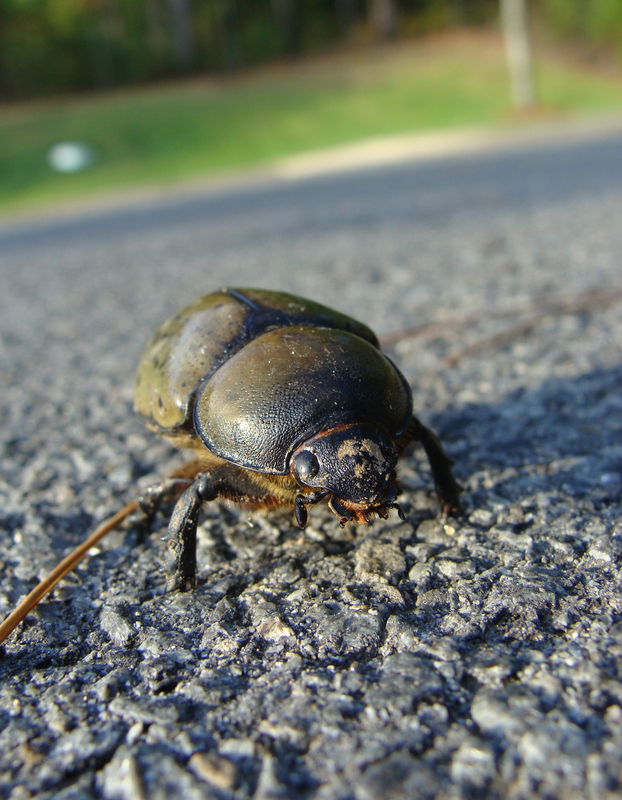 The image is almost a cliche, and had tried countless different croppings in an effort to keep it from being a cliche. In the end, thought it best to let it be. 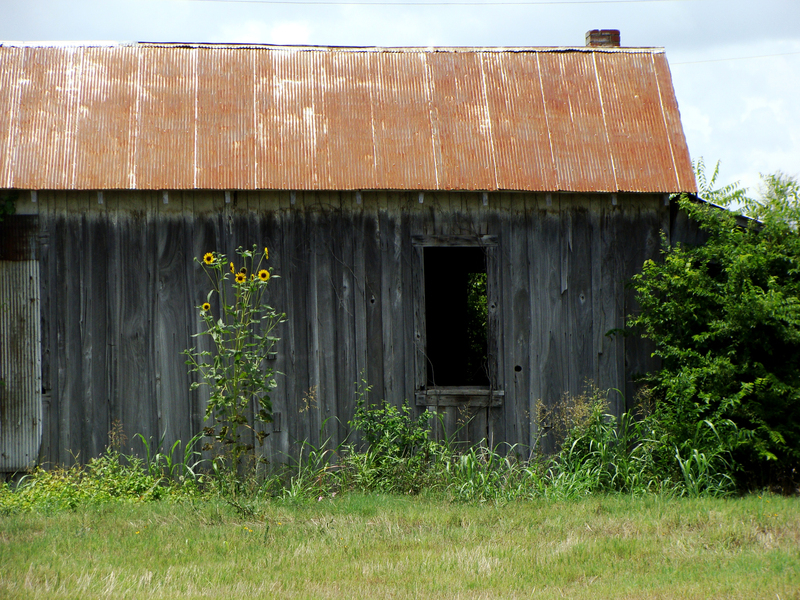 STILL LIFE WITH SUNFLOWERS — A rusty old shack off U.S. 70 in the Arkansas Delta. Sunny Sleevz’ delicious looking hibiscus tea brought to mind the hibiscus growing in the new rain garden at work. The photo doesn’t truly capture the brilliant red of these blooms. 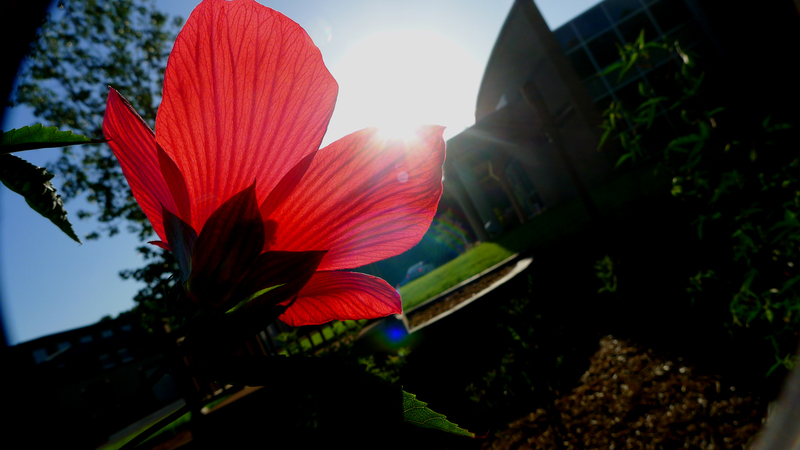 REALLY RED — Backlit red hibiscus bloom taken during a morning walk. We are fortunate to live in a time and place where we can read and comprehend the messages around us. 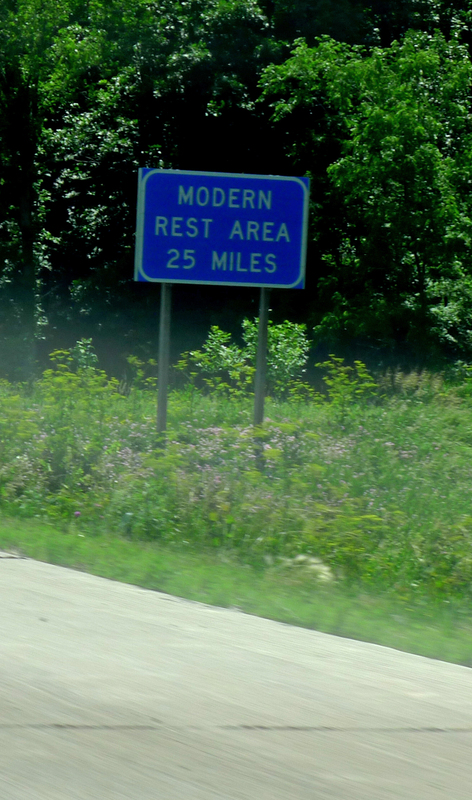 MODERN REST AREA — Sign along I-35 in Missouri. Not sure I want to know what the alternative is. 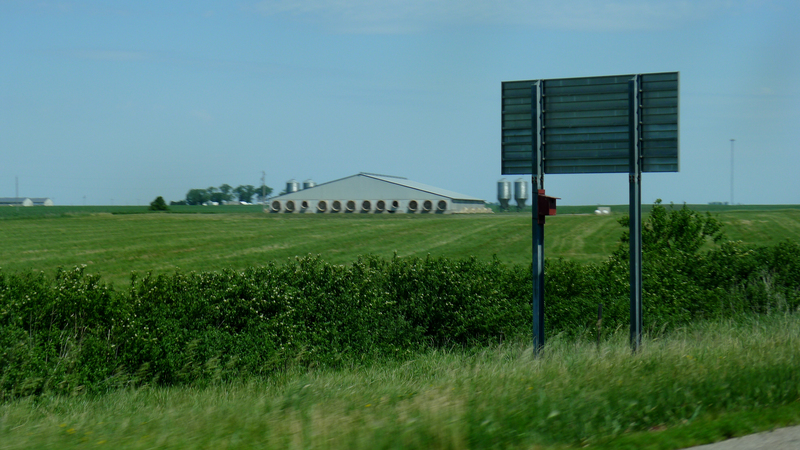 BEHIND THE SIGN — Iowa has adopted the nice habit of attaching bird boxes to its interstate signs. BUSINESS UNUSUAL — Debated about posting this, but this sign is proudly displayed on U.S. 65 in Missouri to advertise an auto repair business. A little local color among our wild grapes. 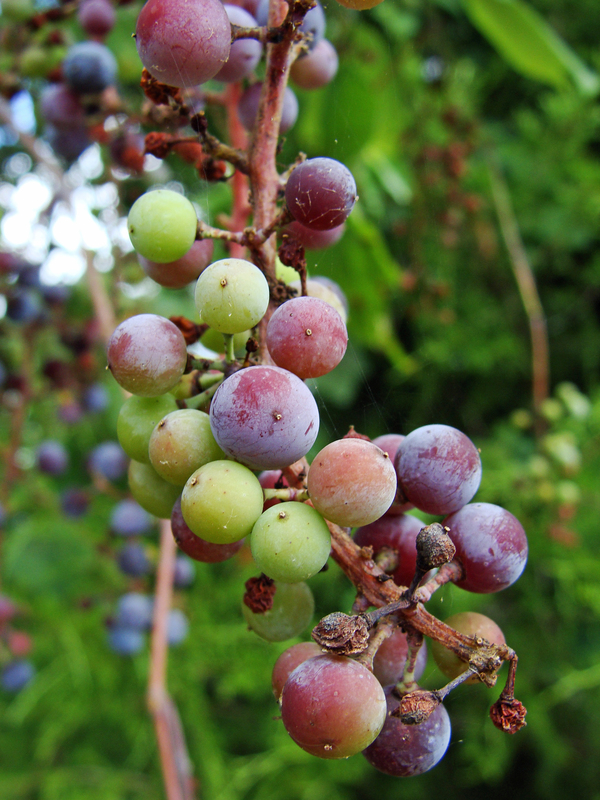 TURNING PURPLE — Wild grapes ripen to a deep purple. 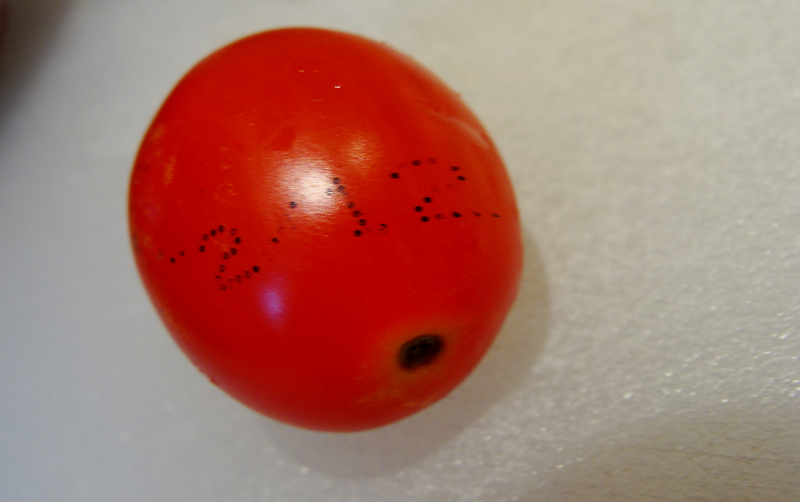 RAISINS — Fifteen days after the top photo was taken, drought shows its fingerprints on these grapes. 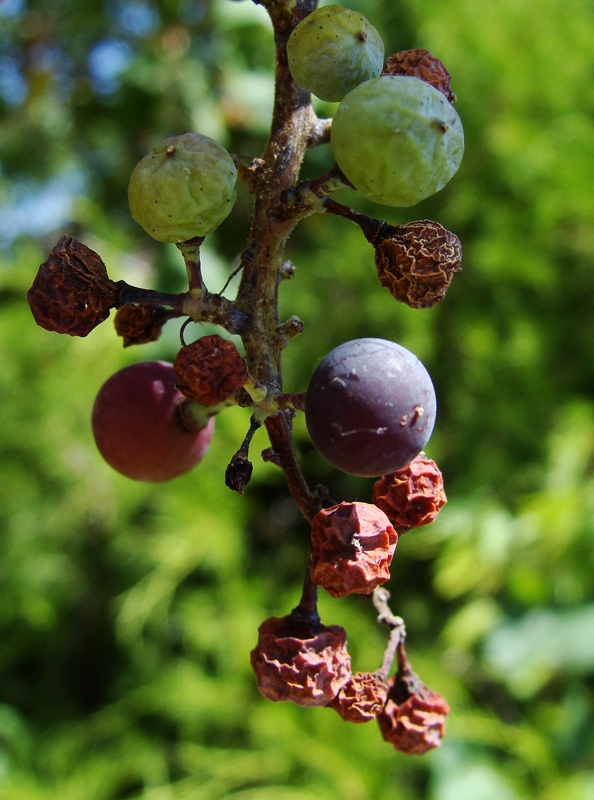 Berries lower in the cluster have shriveled; unripe green berries are beginning to wrinkle before any of the purple pigment appears. 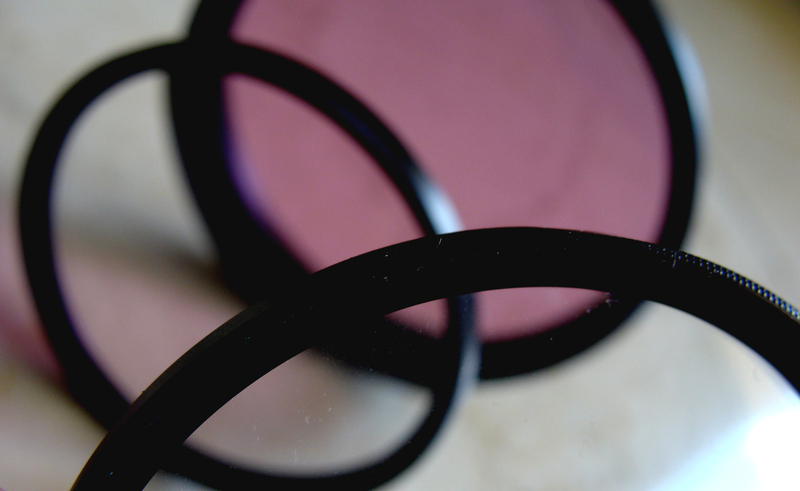 Fun with filters, including a 72 mm fluorescent filter from one of the “big”cameras. Drought continues to strengthen its hold on Arkansas, with a third of the state’s area in what the U.S. Drought Monitor calls “exceptional drought,” the most intense category of dryness. That area includes the Suburban Ferndale rural-plex. And it’s hot, with 100-plus degree temps (37 C and up). Call it desert-like. Call it drought-blasted, but the most vivid indicator of our drought was this: the fence lizard turning this bucket into his own private swimming pool. 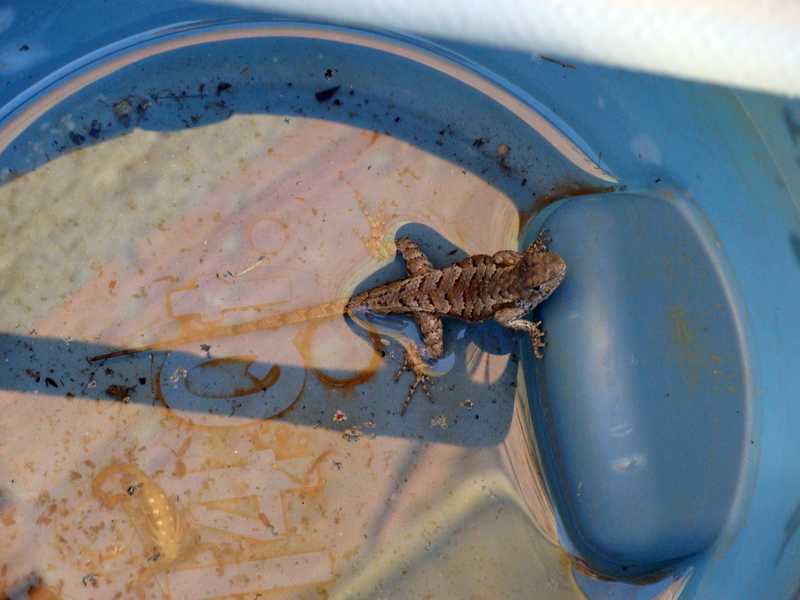 COOL POOL — This lizard wiled away at least an hour in this catch bucket set up under the spigot. Looking at the world from the inside out for this week’s photo challenge. 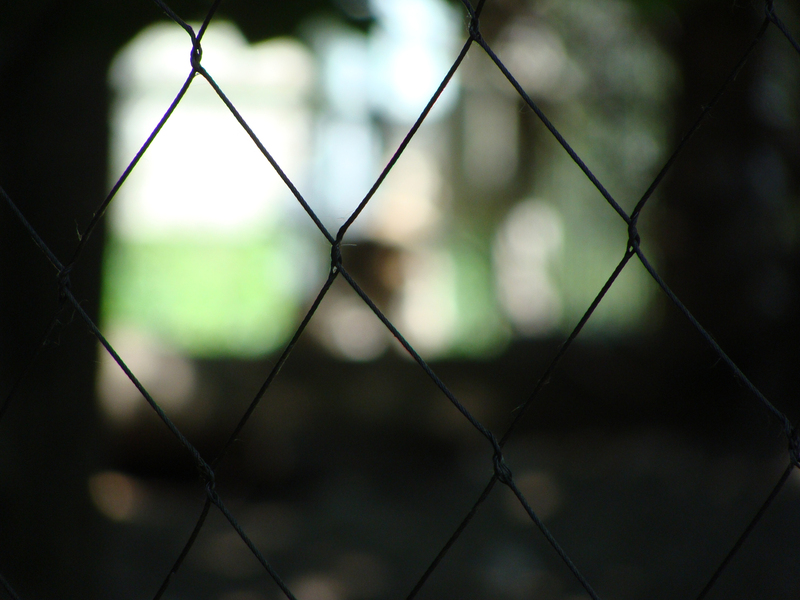 INSIDE STORY — Netting keeps keeps humans contained in the appropriate places at the Minnesota Zoo. 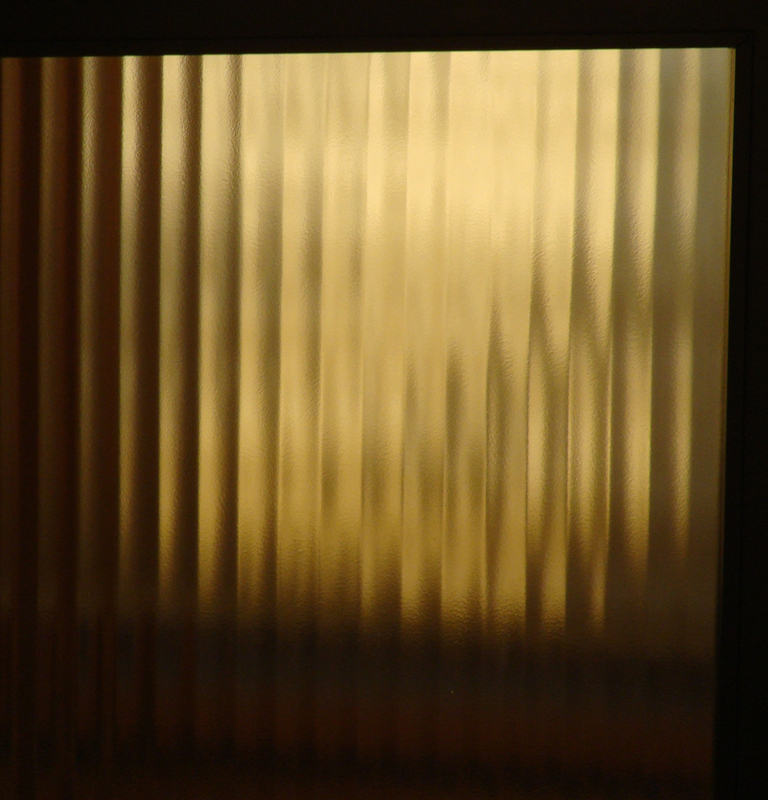 THROUGH THE GLASS WAVY — The bright summer colors are muted through fluted glass. 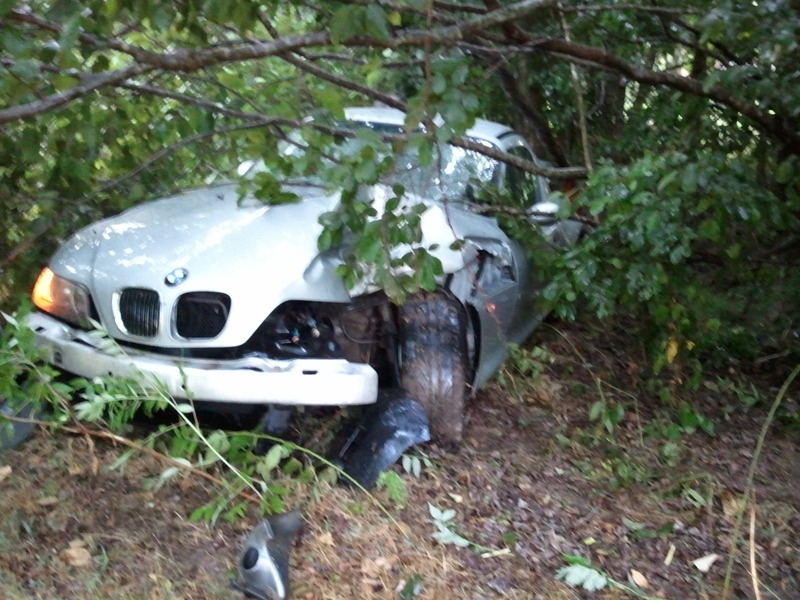 The roadster’s front end hit a tree and the force spun the car. Then everything stopped. The only sound, the staccato drumming of the rain on the hard top, was broken by the questions: “You OK? I’m OK.” “Are you OK? I’m OK.” And then we opened the doors and stepped out into the rain, giddy that we could. We are grateful to the engineers who could design a car to take such a blow and allow us to walk away — even after 91,000 miles with adventures in 15 states. The front end absorbed so much energy the airbags didn’t deploy. Inside, the cabin was pristine, one couldn’t tell that anything was wrong. We can’t help but think that beyond the engineering, the grace of God played the biggest part in our survival. Sadly, the much-loved car is no more, totaled by the insurance company. 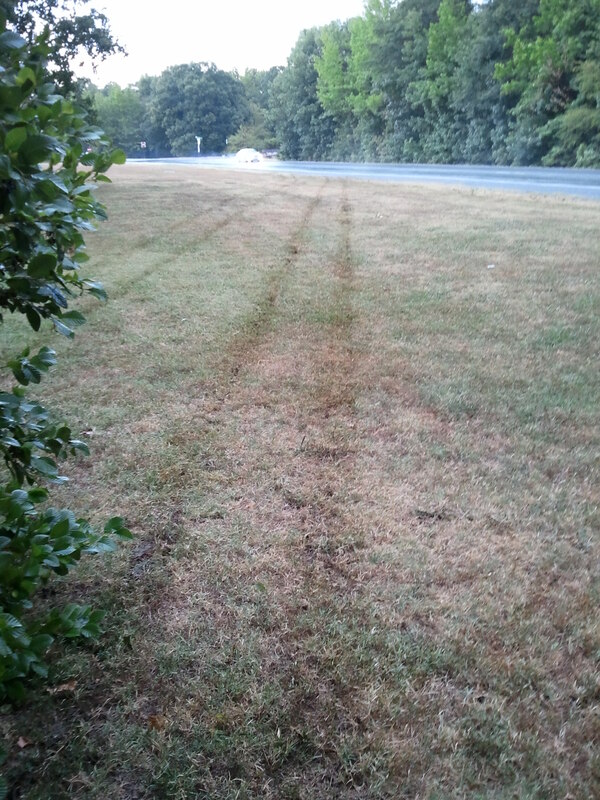 THE LONG SLIDE — The four tracks indicate the sideways motion over wet grass that was slick as ice. OFF ROAD — Where the roadster came to rest. 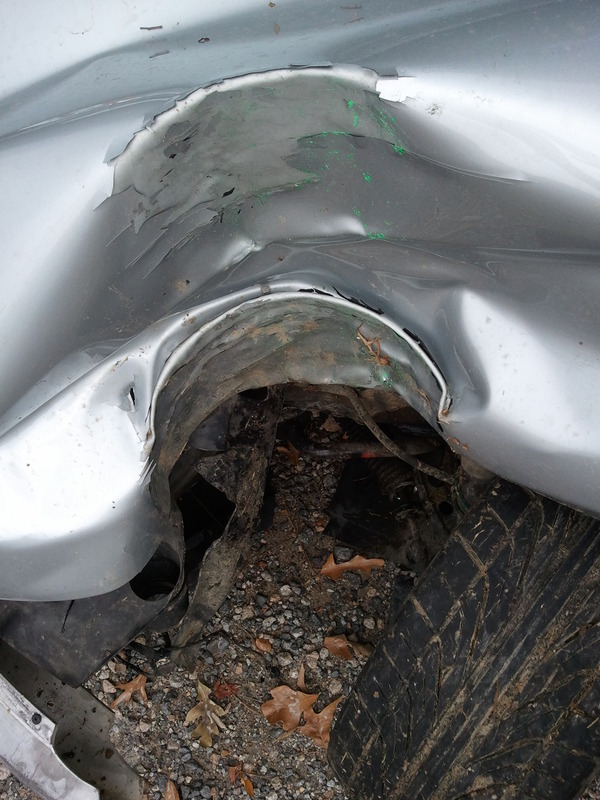 THE DIAMETER OF A TREE — The impression left by the tree in the engine compartment, two weeks ago today. 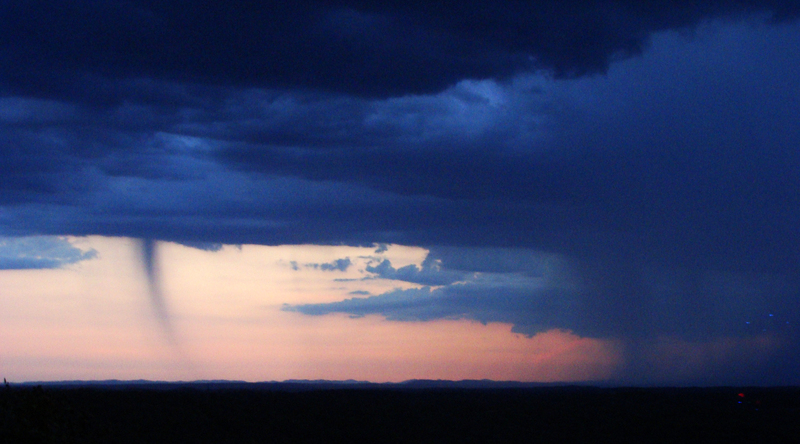 SPOT OF RAIN — While the main body the storm pours out its guts on the right, the one shower on the left seemed to drop rain to the beat of its own drummer.